Derrick Williams Returns: Derrick Williams is back in Minnesota to play against his former team for the first time since he was traded. After joining the Kings, Williams was a starter, but was bumped from the starting unit after the Kings acquired Rudy Gay. Jason Jones of Sacramento Bee has the beat on Williams’ reaction to tonight’s homecoming of sorts. Williams is averaging 9.5 points and 3.8 rebounds in 23 games since joining the Kings, an increase over the numb#rs he was putting up for the Wolves before he was traded. Williams’ shooting percentages, both overall and from distance, have improved as a King. But Williams isn’t scoring or rebounding much better per 36 minutes than he was before the trade. Shabazz is Back: Shabazz Muhammad is also back in Minnesota, having been recalled to the Wolves after a four-game stint in the NBA D-League. I wrote about Muhammad’s D-League performance here. Zach Harper of A Wolf Among Wolves has more on Shabazz’s return to ‘Sota. It will be interesting to see whether Bazz’s strong D-League performance translates into rotation minutes with the Wolves’ second unit. I doubt it will, especially with Chase Budinger’s return from injury and Alexey Shved’s improved play as of late, but you never know. 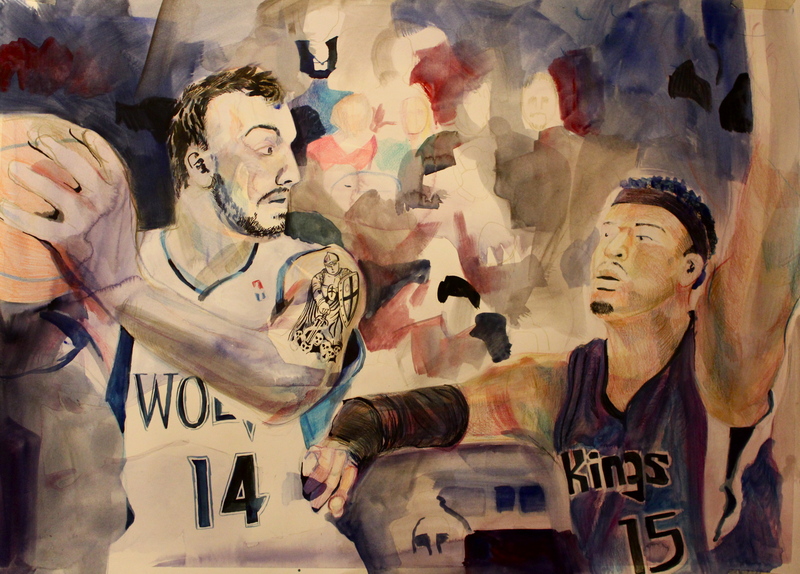 Wolves had little business being in it at the wire after being out-shot 55%-44%, out-rebounded 46-35, out-hustled, and “out-quicked” by the visiting Kings . . . but to their credit, they were there. A tough loss, however, to a team that looks a lot better than their now 14 wins . . . when they shoot and control the boards like they did on this night. We still wait for a Wolves win streak to materialize and for more game to game consistency! Good observations and I agree on the need for consistency. They really need a winning streak.